A large food production customer of Valves Online contacted our technical section stating that they were having trouble maintaining the ‘colour repeatability’ on a new product. This company has used Valves Online to supply products and automate various plant on site over many years. The problem they had on this project was the product, which is noodles, had to be cooked in different sized batches and with different thicknesses of product. This meant that the colourant had to be increased or decreased depending on the product to maintain the same look. Because the process was batching and a quick delivery was needed, a V Sector ball valve was offered, which avoided buying an expensive globe control valve which usually comes coupled with long delivery times. 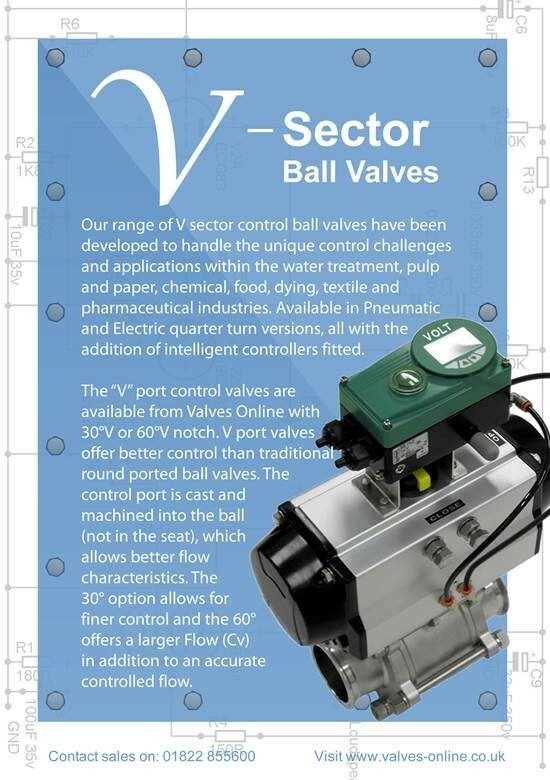 Valves Online introduced the V Segment V Port ball valve to the customer. They were happy with the low initial cost of the valve package and the delivery was within a few days and the process line was running in minutes! The ease of maintenance also sold it to the plant engineers. The Actuator and positioneron this unit are modular and are readily removed/replaced with the removal of bolts. The maintenance engineers were confident with the package. Once the valve was installed and running the engineers were impressed both with the accuracy of control and the ease of setup. 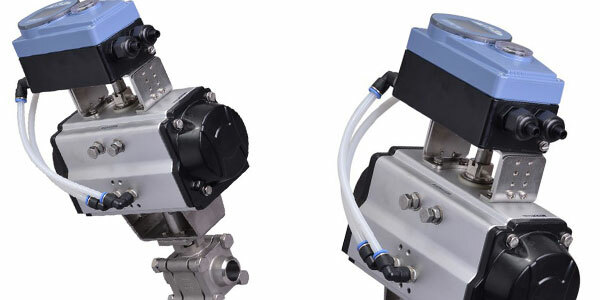 Providing accurate control of flow for proportional and modulating applications. The business end of the valve is a solid stainless steel ball and not just an insert. 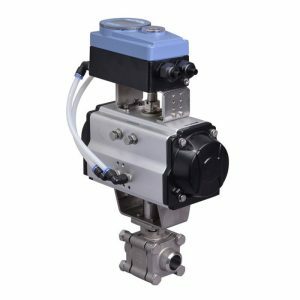 Its design offers V segments in 30°, 60° and 90° to meet all your custom flow requirements, that’s easily selected from our Valve Sizing/Flow Rate chart on the product page. Valves Online V Series Ball Valves come with various end connections including screwed and flanged, easy to build, fit and set, this range has become one of our most successful products in controlling flows, pressures, temperature and level. The electro pneumatic positioner, which accepts a 4-20mA or 0-10-volt input signal, is so easy to set up, featuring a graphic backlit display and easy start tuning function that talks you through installation.